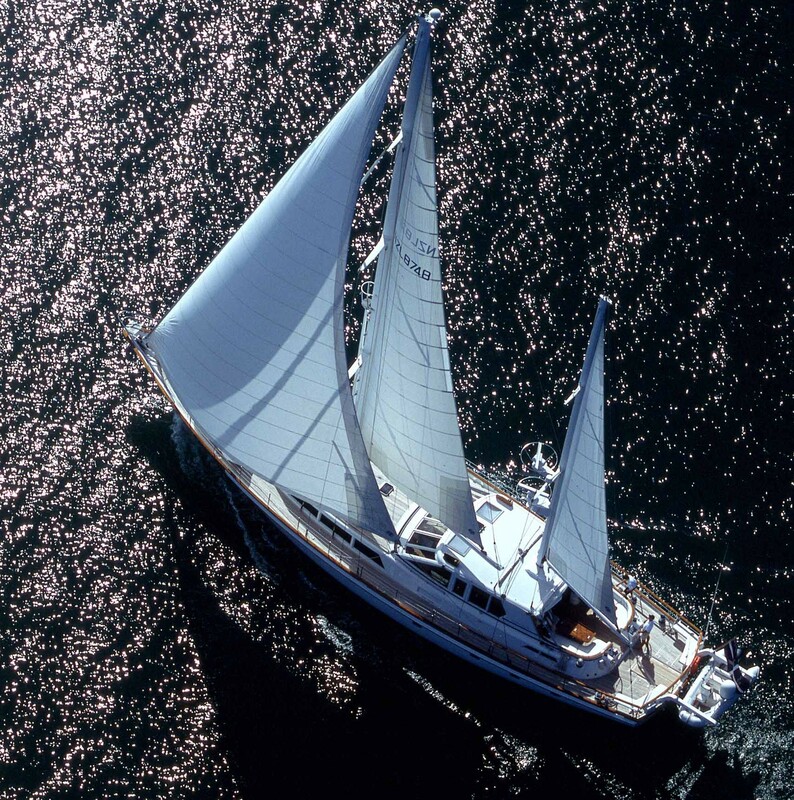 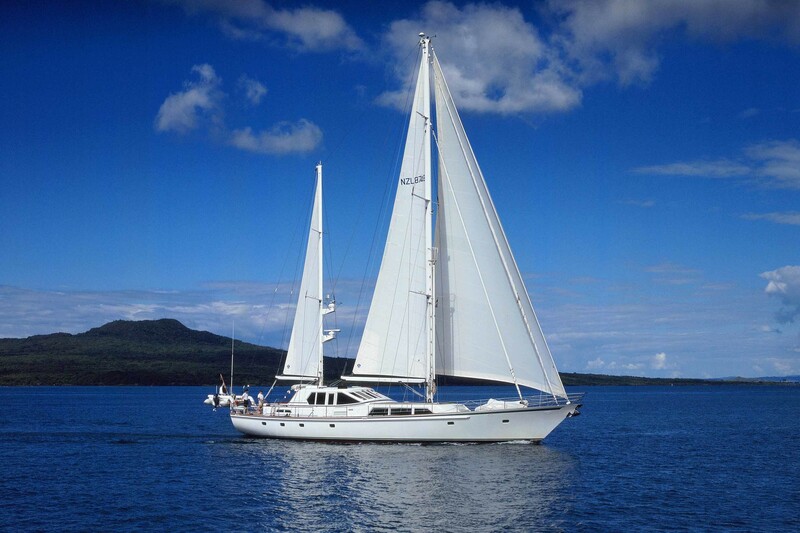 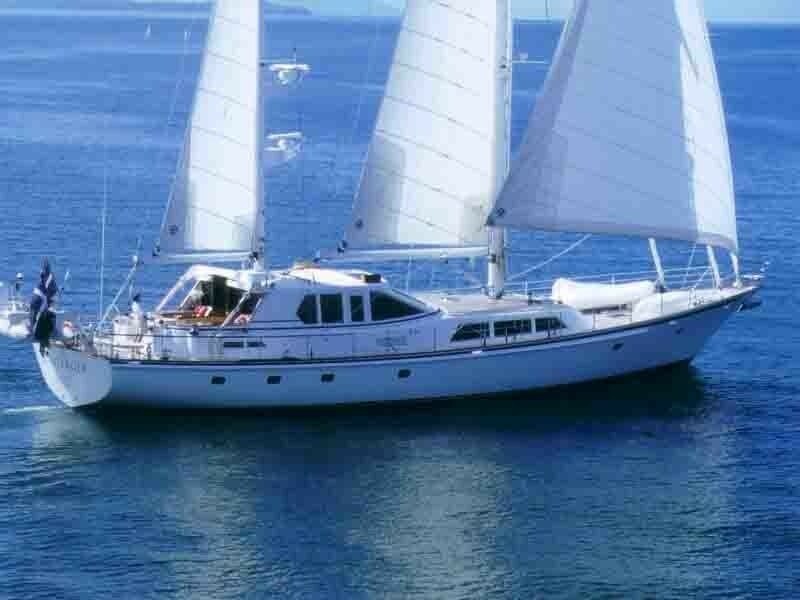 Luxury sailing yacht Pacific Eagle is a fantastic crewed charter yacht (built by Alloy Yachts) and one of the best available for exotic adventure cruises throughout the South Pacific & New Zealand. 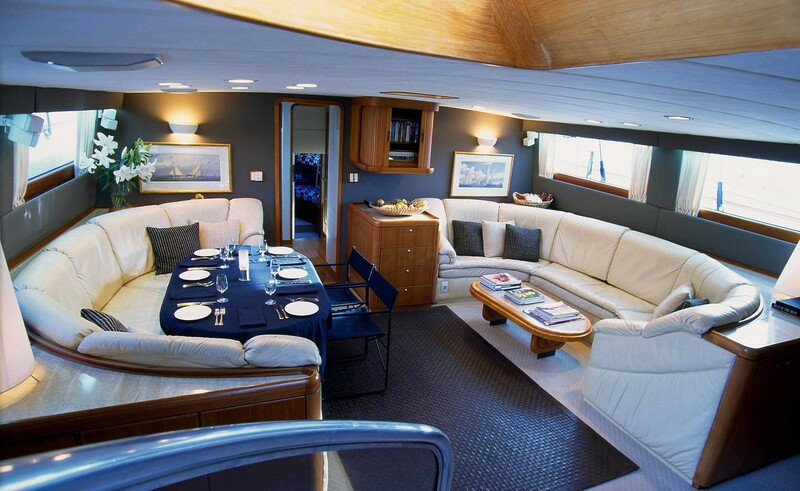 She was built to be strong, seaworthy and luxurious, by the famous Alloy Yachts Yard, New Zealand, and she holds a certificate to Lloyds 100A1+L.M.C. 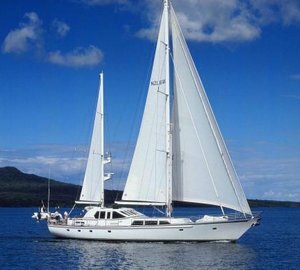 Pacific Eagle charters South Pacific Islands such as Fiji, Tonga and the Cook Islands Vanuatu, New Caledonia and including the Whitsunday’s Australia, as well as her main charter base in New Zealand’s Marlborough Sounds. 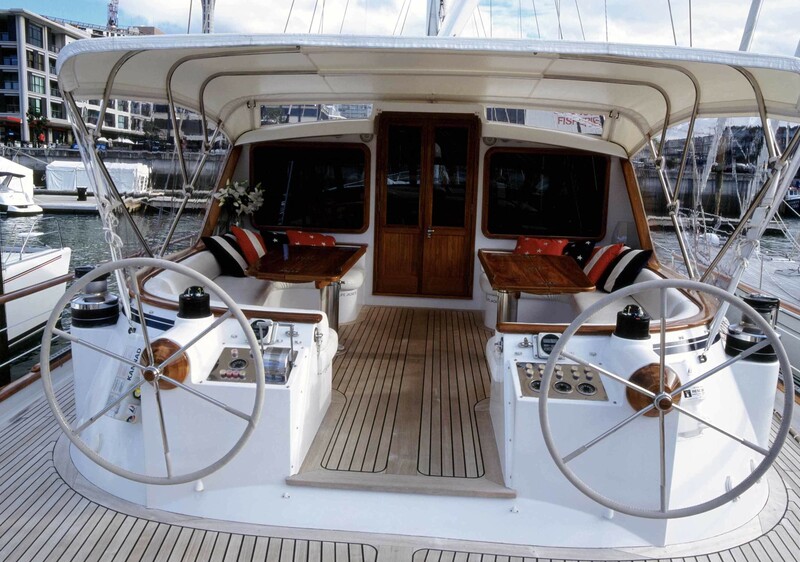 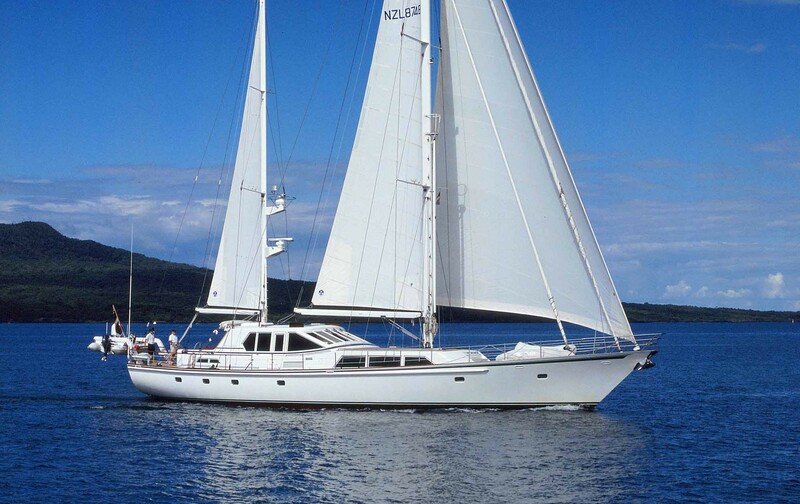 While luxury sailing yacht Pacific Eagle is based in the Marlborough sounds she roams the high seas of the Pacific and can be organised to be available anywhere in New Zealand such as Fiordland, the Bay of Islands ans the Pacific Islands. 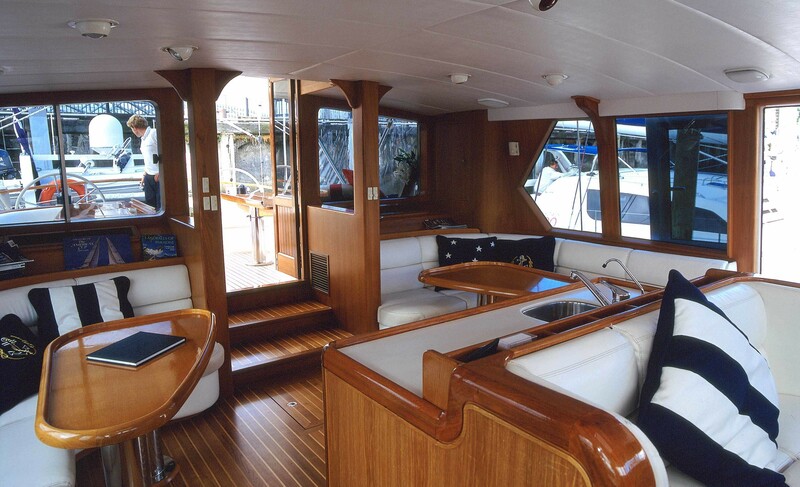 The Marlborough Sounds alone are one of the most beautiful parts of New Zealand with their beautiful myriad of protected waterways and deep fiords fringed with native bush right down to deep sheltered anchorages. 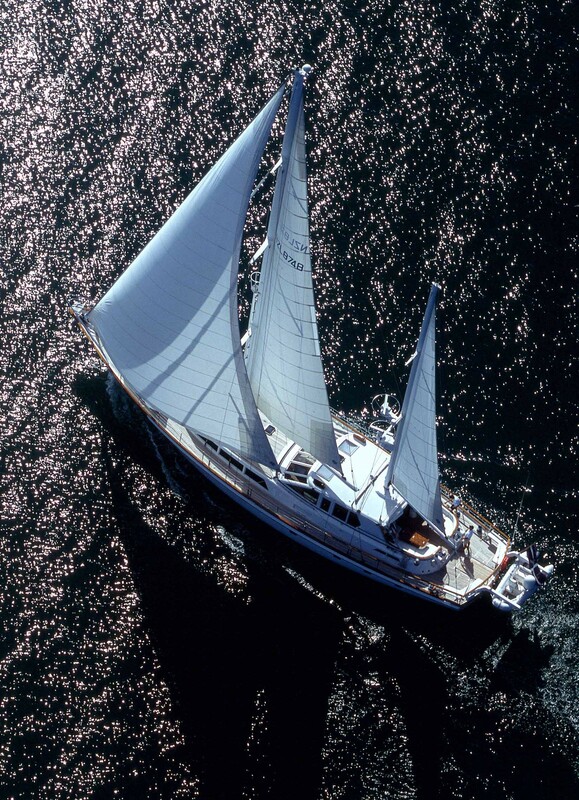 The area also features an abundance of natural sea and bird life to ensure that your sailing and cruising is a true adventure. 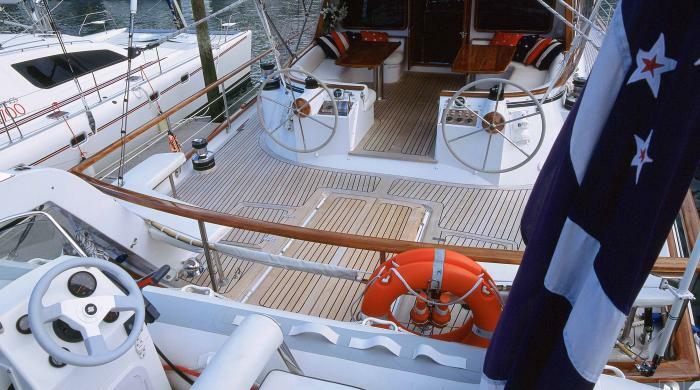 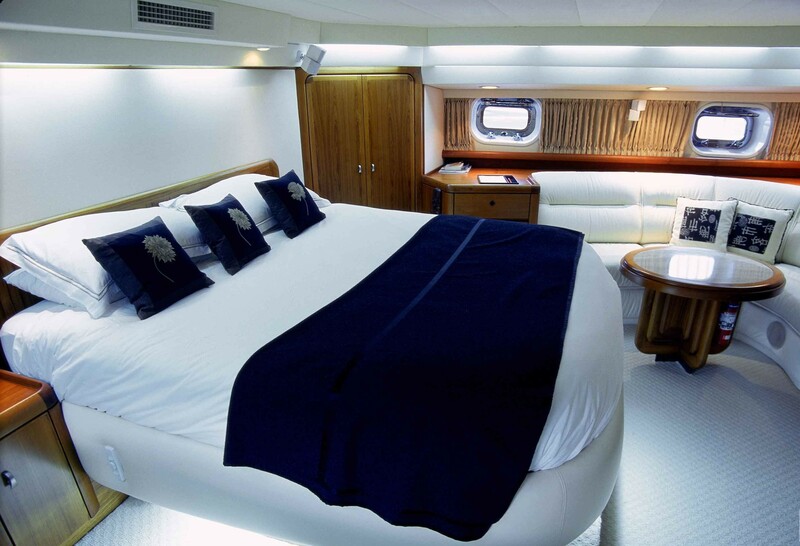 South Pacific sailing yacht Pacific Eagle has undergone a major re-fit in 2003. 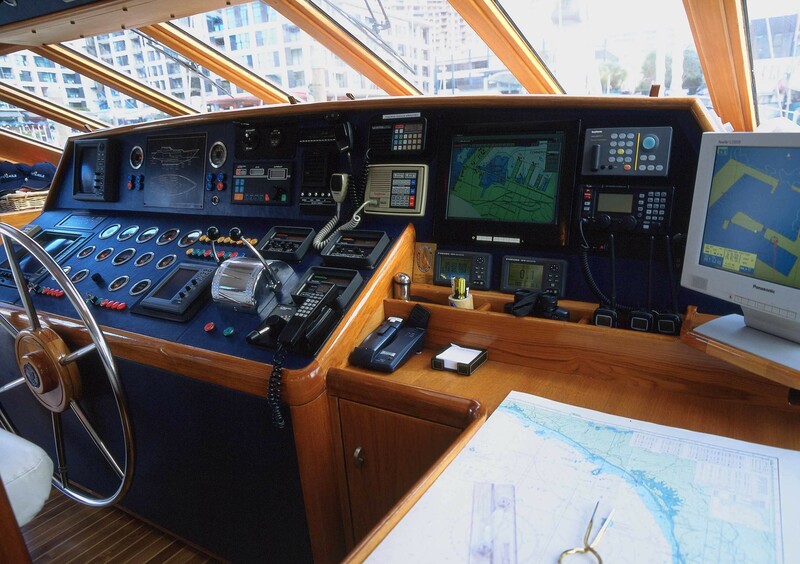 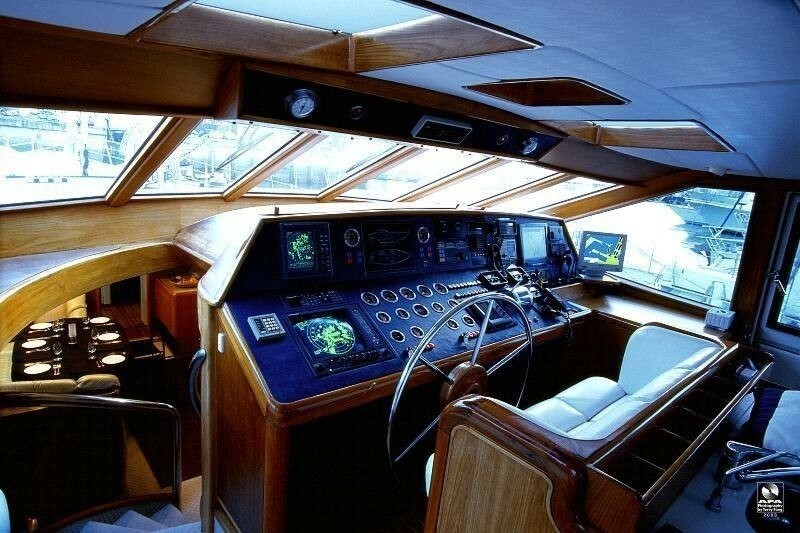 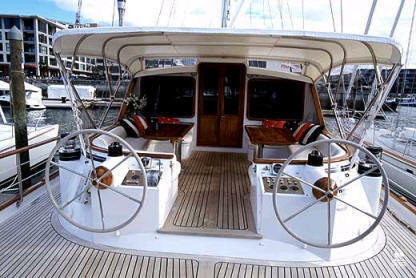 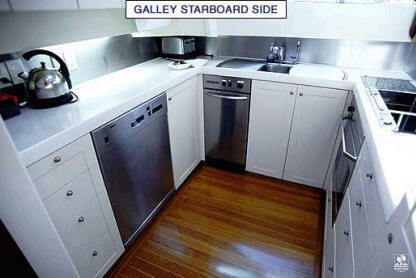 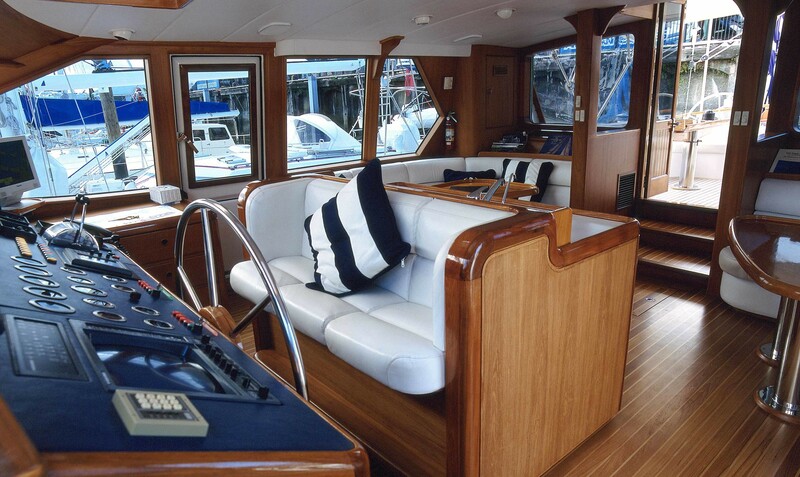 The yacht now offers new generators, refrigeration, a new galley, water maker, satellite communications, sat TV through out. 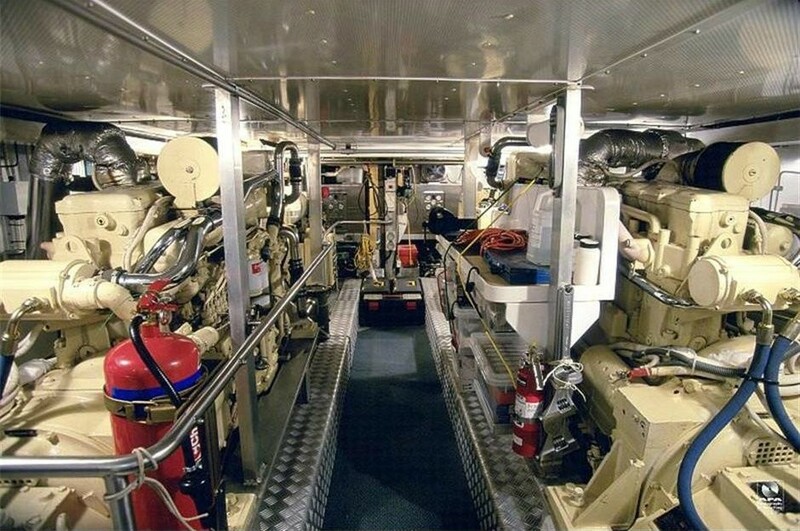 She also boasts new tenders, new navigation equipment and a dive compressor and diving equipment. 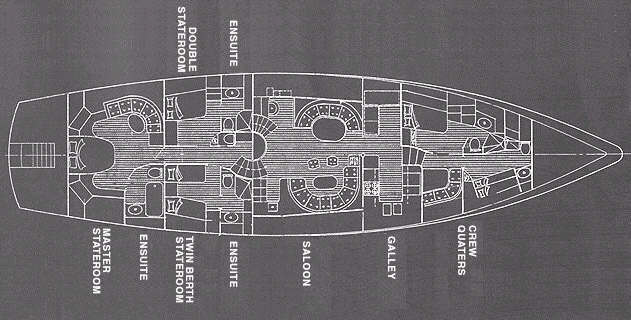 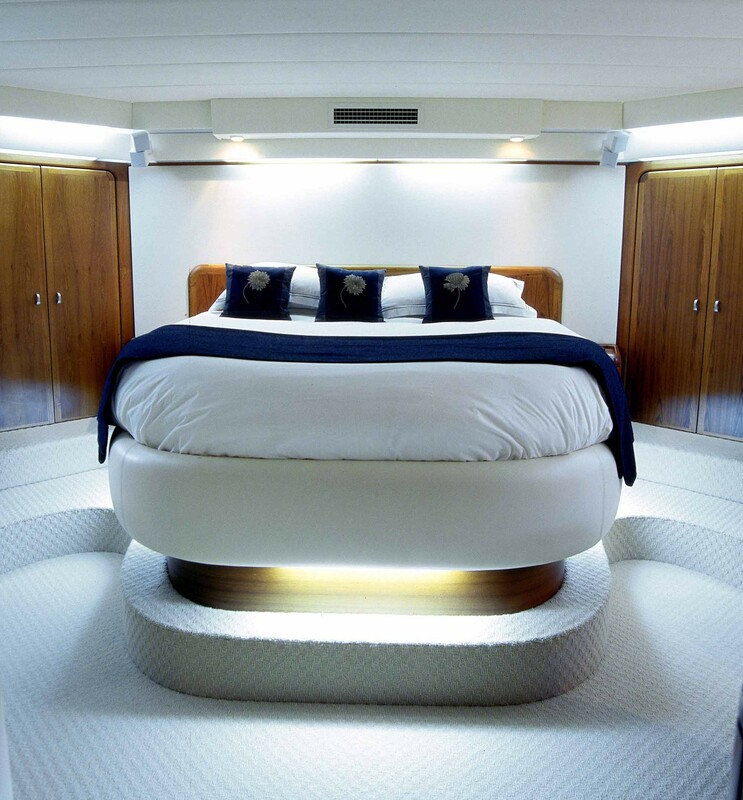 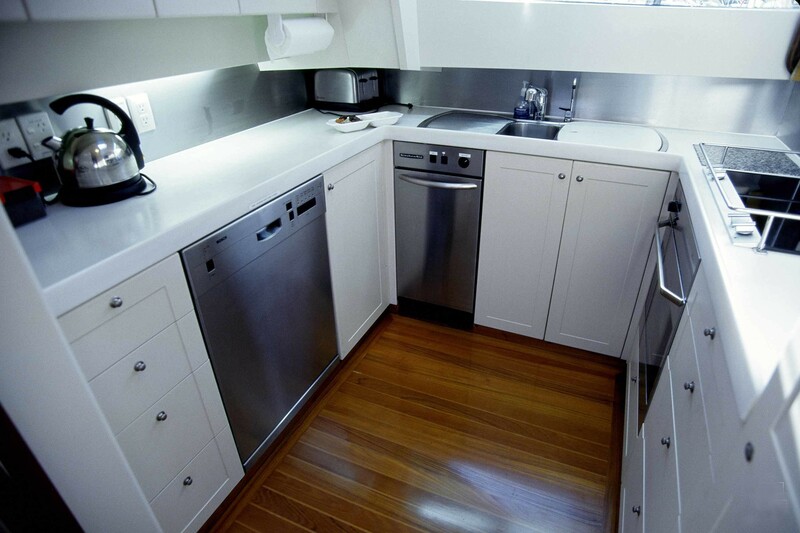 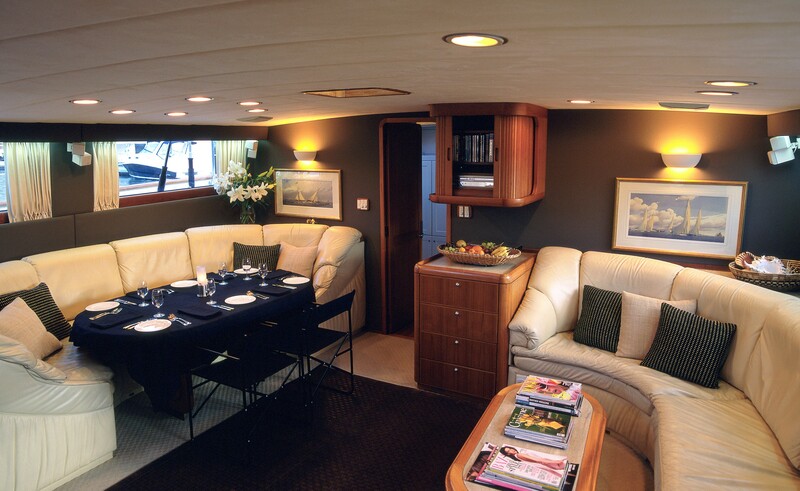 The refit has also seen modern interior redecoration such as carpets, cabins, linen and bathrooms. 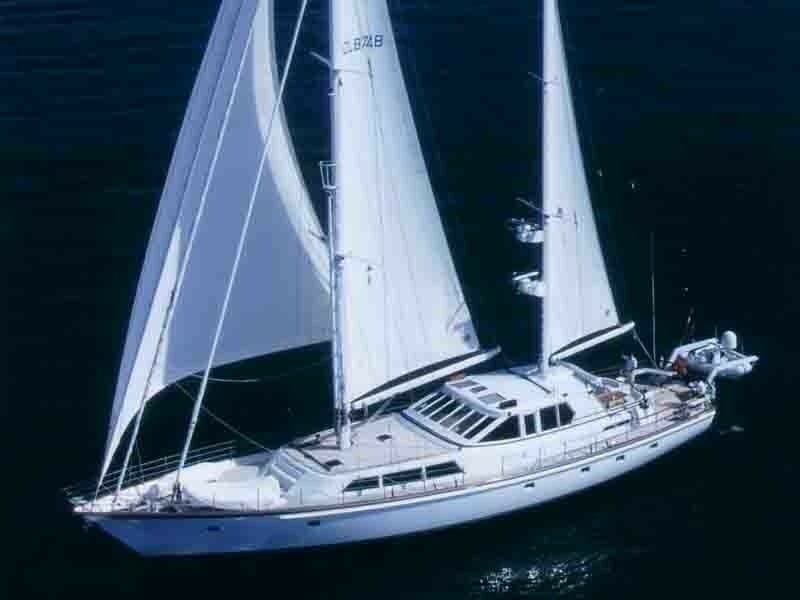 Luxury South Pacific charter yacht Pacific Eagle offers guests the services of a very knowledgeable and friendly crew include an award winning chef. 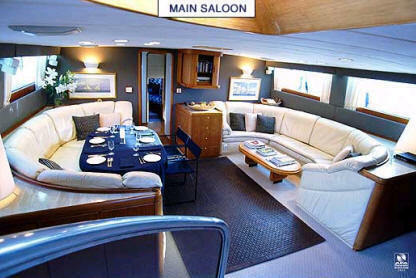 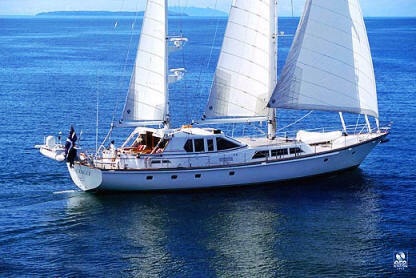 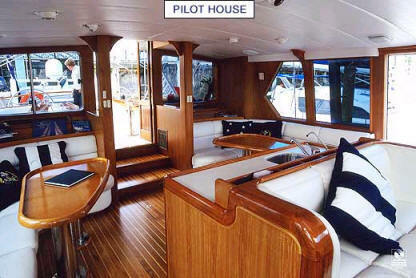 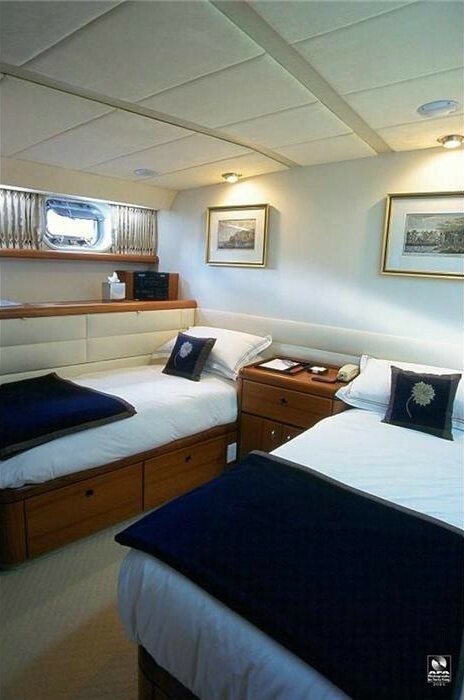 Pacific Eagle provides luxury accommodation for 6 guests in 1 Master state room, 1 double room, and 1 twin cabin. 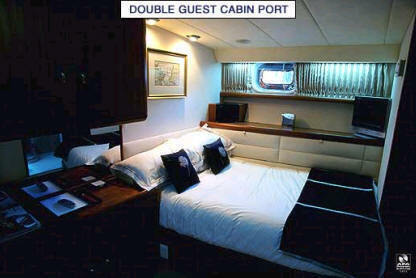 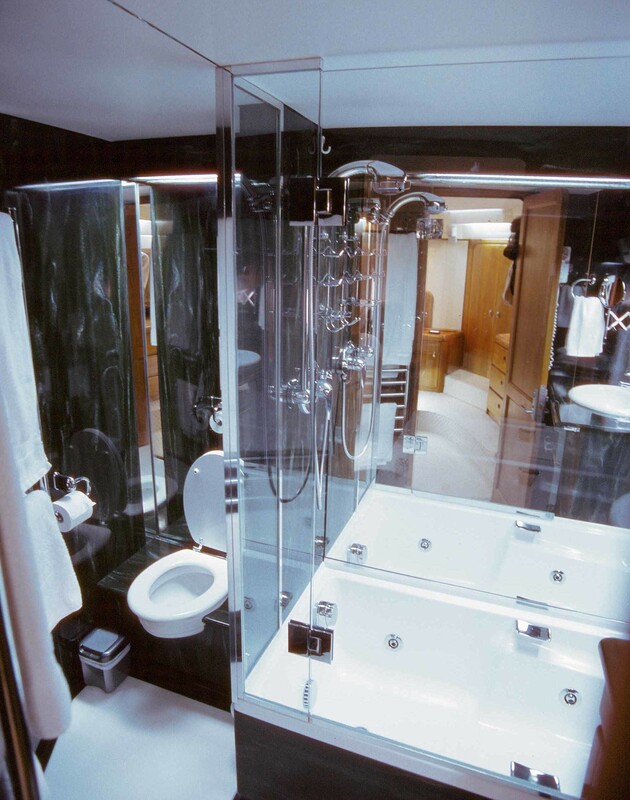 All cabins have their own separate ensuits/bathrooms. 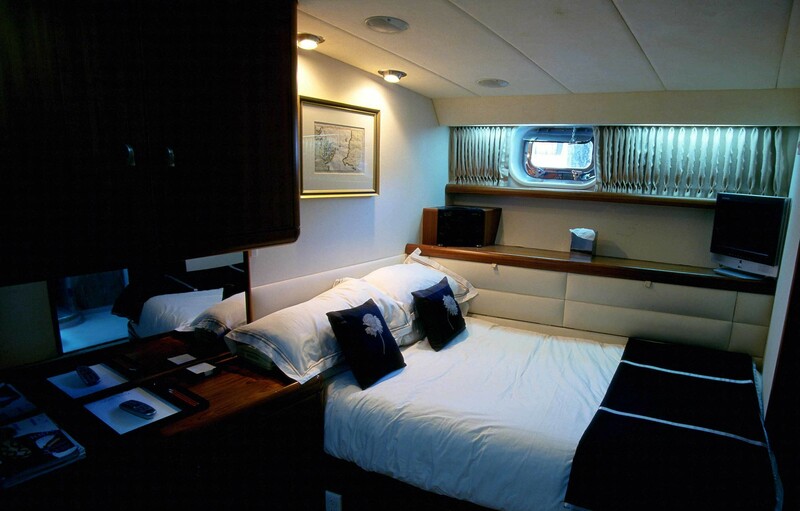 Luxury South Pacific charter yacht Pacific Eagle provides the following extras and amenities for her charters: Sky digital T.V, D.V.D, V.C.R and a Bose Sound system (Main saloon and master state room and Double and twin state rooms , plus Sky digital T.V, C.D and Tape sound systems in the Pilothouse and aft deck area music sound system. 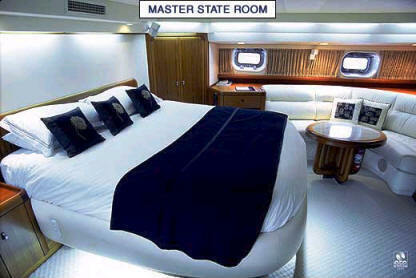 Telephones in all staterooms giving global coverage plus email, email and fax are available. 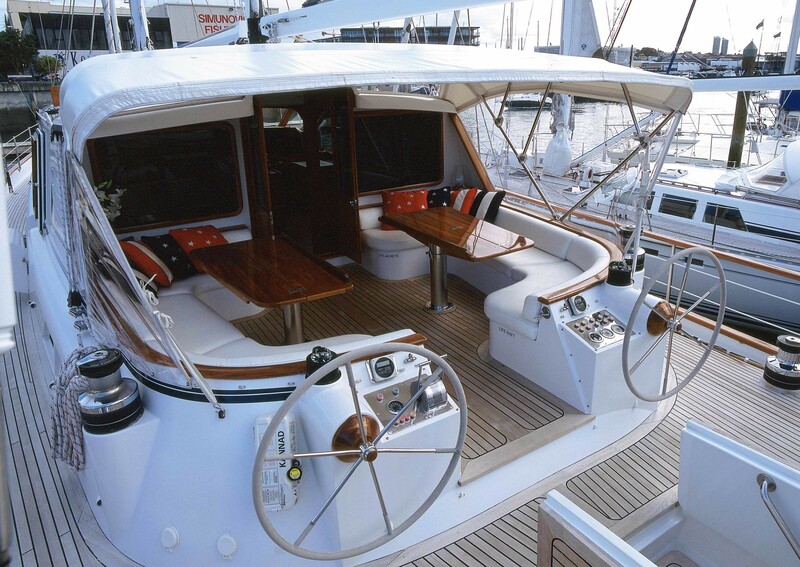 The yacht’s Water Sports Toys includes A 15ft Tender (Aquapro 50hp - 4 stroke Yamaha), Plus a 12ft Tender (Aquapro 25hp with 4 stroke Yamaha), a Dive Compressor and 6 diving tanks, 2 Ocean 2 seater Kayaks, Water Skis, Body boards, various pull-behind toys, a windsurfer, various Fishing gear and Sun bathing deck mats. 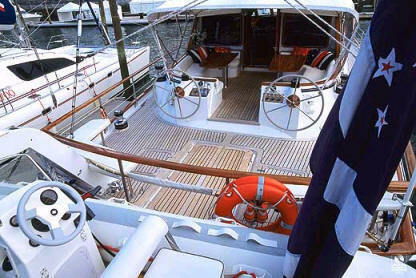 She also provides a Fold down boarding platform - for water and swimming access, as well as a B.B.Q.